» SPOT on Issues » Best Practices » What Would Steve Jobs Do In A Claims Organization? Thank you Bill Schoeffler and Catherine Oak of the Oak & Associates Consulting firm for the idea for this article. They wrote a wonderful piece for Insurance Journal called, What Steve Jobs Would Do In Insurance, where they so aptly lay out how Mr. Jobs would change the insurance world. 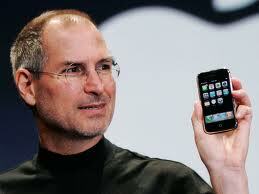 They pick out several ways a Steve Jobs run insurance agency would be different and innovative. So what would Steve Jobs say about our claims industry? Well, having heard about his reputation I think I will leave what he would say out of this post. Regardless, I think Mr. Jobs would see an industry with tremendous opportunities to innovate and improve the way they deliver and manage claims services. Following the lead of Shoerffler and Oak, I would agree that Jobs would likely create a seamless way to integrate external claims information with internal business related data. Underwriting and policy information would easily flow into claims systems and be available to the customer and claims professional easily. Claims filed through a variety of input sources would simply display information needed for all those touching the claims. The claims department, management teams, outside providers, underwriters, and of course the claimants, would have easy to understand graphical representations of relevant information. Apps would help direct those particular parties to help move the claim to resolution and seamlessly provide analytics to the company in real time. And of course there would be beautifully designed hardware to deliver this integration in the sharpest possible way. Claims teams would work collaboratively with other parts of the organization to deliver better claims products to customers and real time relevant data to assist in underwriting. Good companies understand the relationship claims has to the health of the organization way before a claim even comes into the office. Steve Jobs would ensure underwriters would understand the claims process and how policies sold end up yielding claims. He would make sure that claims people understand how the claims organization’s activities affect the financial health of the company on pricing and expense ratios. Steve Jobs was a brilliant marketer. He seemed to know how and when a product was going to change the world reshaping whole industries (when was the last time you actually psychically bought a CD?). Claims departments could benefit from a little marketing as well. Whether to internal or external customers, claims departments can certainly do a better job of getting their “brand” out to their market place. The reality is that a Steve Jobs led Apple and its success can be obtained in claims departments. It takes a little more focus and the ability to step outside “what’s always been done” to innovate the future. Tell us how else do you think Steve Jobs could have changed the claims world? Tagged with Claims Operations, Improvement, Innovation, Innovative Thinking, Process, Strategic Planning.